Spend your young adult years living in luxury in an upscale downtown apartment in Columbia, Missouri. The Lofts of Columbia has two locations, one at 308 Ninth Street and the second on Broadway, to let you experience premium loft-style living with exceptional at-home amenities just steps away from the District, the University of Missouri, Stephens College or Columbia College. Floor plans are available in one and two bedroom styles depending on how much living space you’d like, and all of our units include: modern stainless steel kitchen appliances, wood floors, granite countertops, a large flat screen TV, a washing machine and dryer unit, and Jacuzzi bathtubs. High-speed internet and cable are also included for no additional charge, and every unit has a beautiful balcony view of downtown Columbia. The Lofts of Columbia give you the flexibility to furnish and style your apartment however you like with an open, spacious living area, while giving you the privacy and personal space of individual bedrooms with private bathrooms and walk-in closets. Other perks of our loft-style living include a private balcony overlooking downtown Columbia, high ceilings to open up your apartment for a more luxurious ambience and large windows to let in ample natural light. In addition to the upscale features in each apartment, residents also have peace of mind with secure building access. The 308 Ninth location is secured overnight from 9pm to 7am and the Broadway location is secured 24 hours a day, accessible only by residents with an electronic key fob. This ensures safety for residents and their property during the busiest downtown hours. 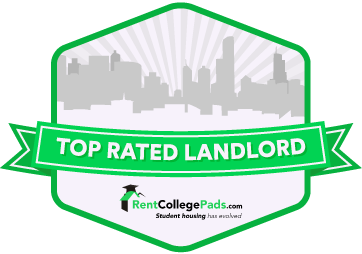 The Lofts at 308 Ninth are the perfect choice for upperclassman students, boasting a prime location that is just a few minutes’ walk from both campus and the downtown bar scene. Many convenient businesses are located on the lower level of the building, including Subway, Varsity Nails and International Tap House. Enjoy the convenience of being able to walk anywhere without sacrificing luxury or safety. 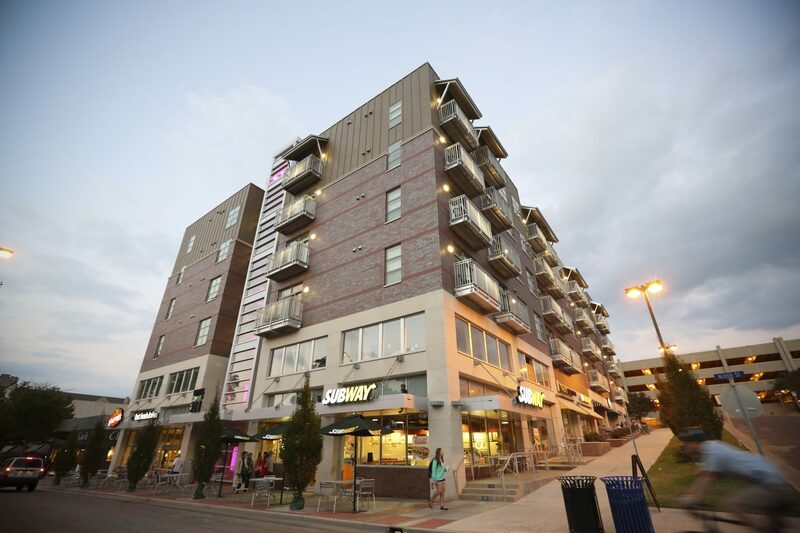 The Lofts on Broadway are reserved for graduate students and young professionals seeking sophisticated downtown living, and include passes to the Short Street garage to make parking convenient and stress-free. It’s the perfect place to come home to after a day of work or a night out in the District. 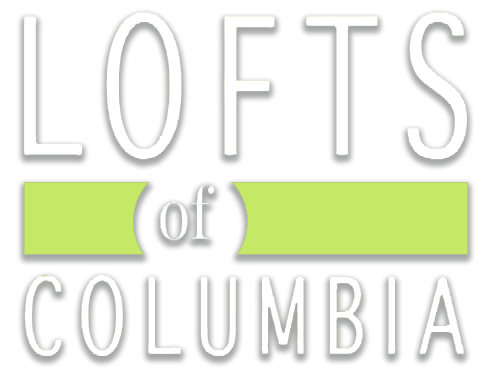 Enjoy the excitement of downtown living, the leisure of loft apartments and the comforts of home at the Lofts of Columbia. To learn more about living at the Lofts or to schedule a tour, contact the leasing office at (573) 443-4521.